Making use of the perfect gardening project tools for your garden project; such as a cordless hammer drill, can give an awesome experience and with a feeling of never-ending. The question is simple. How do you know the perfect tool most preferred for your project? Hang in here, and you will know what tools you need to get started. -You can kick off with the most affordable tools you need specifically to finish the project at hand. -Avoid leaving you’re told untidy. Let them always remain in a good working order. You must ensure you keep your metals parts lubricated and sprayed to avoid rust. After use for the day keep your tools in a safe and dry place. This will make your tools have a longer lifespan and make your work easy at all times. – Comfortable is the word here. Avoid the use of heavy and uncomfortable tools you can’t manage. Use tools that you can handle easily, making your work faster. This power tool from the name indicates the hammer drill does not have a cord. This tool is used to carry out the gardening project. 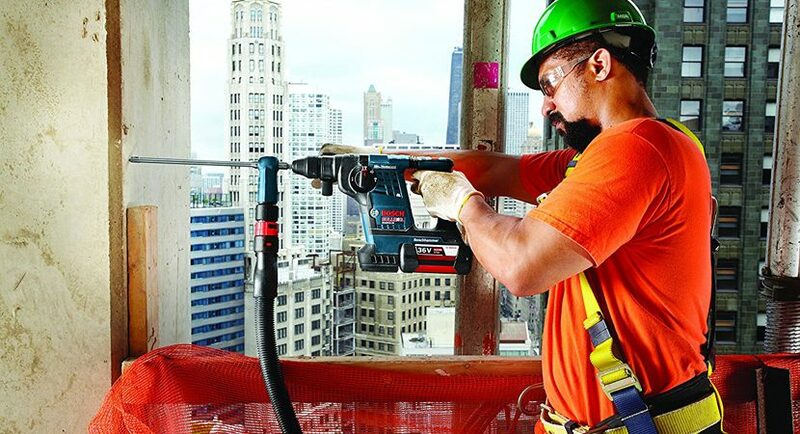 The cordless hammer drill spins like every other drill. It adds a forward percussive motion and spins through harder surfaces. The cordless hammer drill is used mainly for putting holes in concrete, hardwood, brick or stone. The action of this tool simply breaks the softer material beneath the surface. If for instance, you want to make a flower bed, this drill helps you put holes easily at the edges of the wood. It does not end there because the drill does more than just woodwork. The spinning action of the drill goes through solid material and removes debris from the hole. Choosing the best cordless hammer drill is perfect if you need portability as you move to remote locations. The twisting force of this tool is the power behind the spinning action. It has a revolution per minute that is quite high and aids in increasing the speed of drilling when needed. An impact wrench is also known as a torque gun. It helps to deliver high torque output with little exertion from the user. Its most common source of power is compressed air, electric or hydraulic power and it is used alongside cordless electrical devices. They are very important gardening tools as they assist in major construction projects in the gardening. It has a reactionless tightening feature and it reduces the noise level that regular impacts receive. When in operation, the motor rotating mass is increased and as a result stores energy and connects to the anvil which helps to create a high torque impact. An impact wrench is used to finalize tightening and it does this with the aid of the torque wrench. This tool is also useful for snuggling down a fastener. The saw is an excellent garden tool with a rough blade with a 2-edged jagged side. It is can be very useful in the garden to cut through the wood in most cases, especially when you want to make your garden bed or house. Materials like wood or metal are cut by placing the sharp rough-edged blade, moving it back and forth with exerted energy. Majorly the hand is used to apply the energy needed to cut through the material. There are also other sources of exerting a force such as electricity, water, steam etc. It all depends on the particular saw you will prefer to work with. They are mainly two categories of the saw which are; hand-based saw and machine-based. If you want to work with a simpler setup, then the hand-based saw is what you will need. They are so many types of hand-based saws in the market with affordable prices and Machine-based saws that fit what you will need. The choice is yours to make. As the name implies, The grinder is a garden power machine that grinds. However, in most cases, it is used to sharpen metal tools in the garden such as; shovel, trowel etc. Its cutting tendency is characterized with an abrasive feature. The grinder has a structure that helps hold the material and a grinding motor which spins at your desired speed. There are various types of grinder you can see in the market such as; angle grinder, die grinder, surface grinder, etc. it all depends and what you are looking to get to the work done. Cordless hammer drills alongside the Impact Wrench and Saw Grinder aids your gardening work more efficient and fast. Whether you’re an expert gardener or a DIY Specialist, the cordless hammer drills will aid the boring through of any hard garden material you desire, with the option of being mobile. With dominant twisting, solid grips, and versatile speed selections, you’ll have great control over any heavy-duty work. As long as it concerns a cordless hammer drill that’s designed with a superior quality, It will make you work at the garden easily.